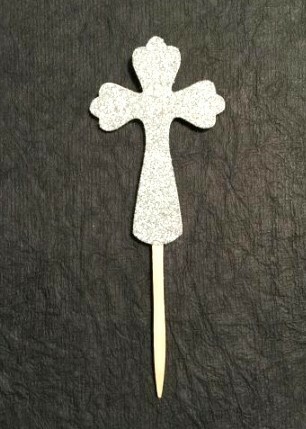 The cross cupcake toppers measure 2" wide x 3" tall and they are attached to flat wooden pics that are 3.25" tall. Shipping is a flat rate of $3.00. Please allow us up to 5 business days to fulfill your order; add ship time from the Gulf Coast.